If we talk about typical things of Galicia, it is clear that the Galician pazos deserve a special mention. This is a rich monumental heritage that extends throughout the autonomous community and is already part of our personality. 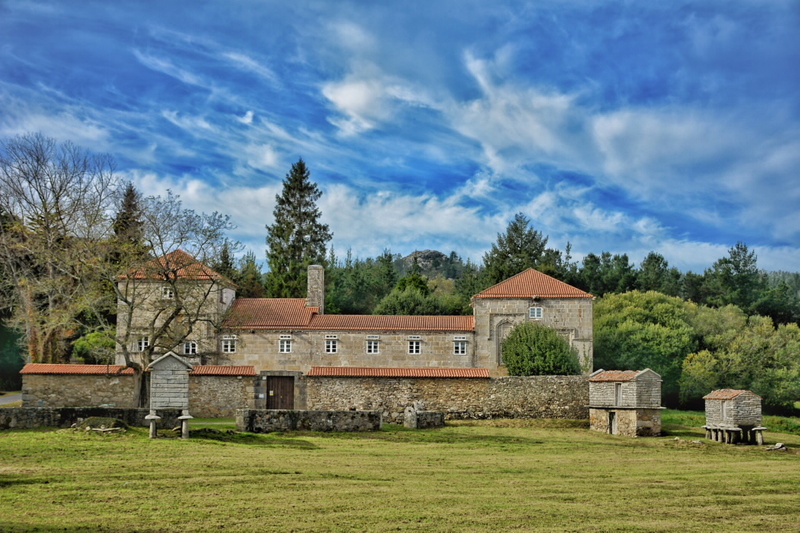 The architectural complex of Torres do Allo is located in the municipality of Zas, in the province of A Coruña. Considered one of the oldest “pazos” and a great example of what Galician noble life was like in the late Middle Ages. It was built at the end of the 15th century by the Gomes de Rioboo family. After the destruction of the Altamira fortress by the Catholic Monarchs, the family began the construction of what would be one of the first Galician “pazos”. With the passage of time, the different descendants and heirs of the family patrimony, extend the set with the construction of the North Tower and other annexed constructions like hórreos, mills, sheds, the baroque garden, the fountain of San Ramón, the houses of the Curro, etc. . . As well as, the extension of the family house. The current view of the complex is made up of two towers joined by the nucleus of the two-storey building. Its facade, of important artistic and historical value, stands out for its decorative elements such as the family coat of arms or the drainage gargoyles that bring majesty to the complex. For its part, access to the “pazo” is an authentic spectacle. 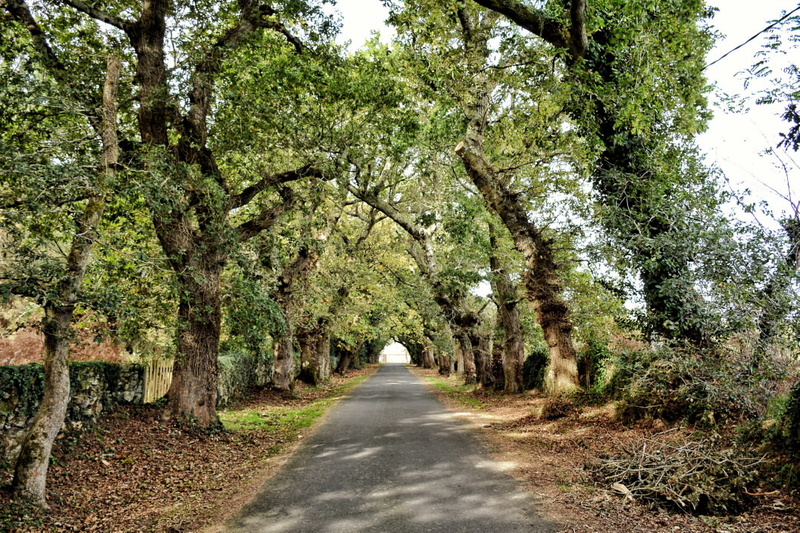 A succession of hundred-year-old oak groves welcomes us to the place. Nearby, a few meters away, is the Church of San Pedro do Allo built in the sixteenth century. Among other things, the hermitage draws attention for its atypical side bell tower. A very rare type of construction in Galician religious architecture. In addition, it is worth visiting this sanctuary to contemplate the two figures of Adam and Eve that guard its main entrance. No less relevant is its 18th century baroque garden or the fountain of San Ramón. At the back of the Allo Towers you can enjoy a pleasant walk between the apple trees and a large Vancouver fir tree over 20 metres high. As for the fountain, it is hidden in the underneath of Allo. This is a spring of fresh water carved in granite with two pipes presided over by the figure of San Ramon. That is to say, an ideal enclave to rest while we listen to the sounds of the water and the forest. To get to know this marvel in depth, the easiest thing to do is to take a look at the information provided by its official website (https://torresdoallo.gal/en/ ) and book a day in the agenda to visit it. Do not miss the opportunity to admire this historic building, which allows free entry.